No one wants to think about falling while on the job. But, sometimes accidents happen. It is up to us to make sure that in the event of a fall there are safety measures in place to ensure that everyone stays as safe as possible. That’s where an SRL comes into play. A Self-Retracting Lifeline, or SRL, is a device that contains a spring-loaded retracting web or cable lanyard wound around an internal drum. It automatically locks and arrests the fall of a worker. When looking at SRLs it is important to understand the standards that they need to meet. ANSI Z359.14-2012 classifies SRLs into two classes - Class A and Class B. For more information about SRL standards click here for our blog post or here to visit our knowledge base. Larger SRLs are mounted above the worker, and the lanyard runs down to connect to the user’s dorsal D-ring on their harness. Mounted SRLs are typically heavier and come in lengths ranging from 8 ft to over 100 ft.
Not sure which SRL is right for you? 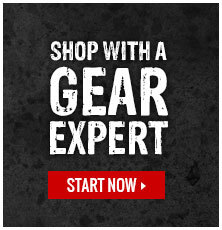 Click here to contact our Gear Experts®.